A favorite quote of mine from my favorite animator, innovator, and creator of all things magical! Any guesses? Who else, but Walt Disney himself! I have been a fan of Walt, and the Walt Disney Company, for as long as I can remember. I am a Disney enthusiast and former cast member. I participated in the WDW College Program in 1999 and have made several trips back since that time. 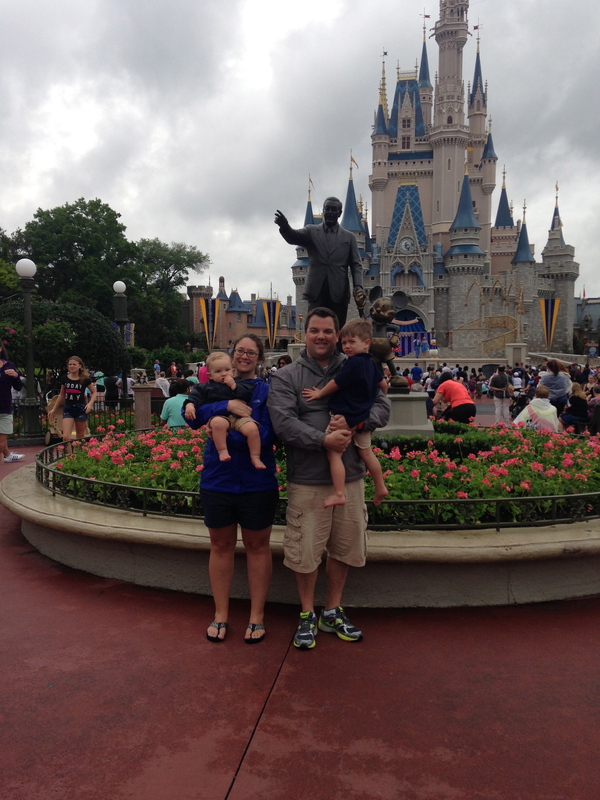 This past April, I traveled with my family to the Walt Disney World Resort to celebrate our first trip as a family of four, and to celebrate our children’s first and third birthdays. If I’m not planning a trip for myself, I am often offering advice to friends and family traveling themselves. I keep up with what is new or upcoming in the parks and love to dream of what our future trips will consist of. There isn’t a week that goes by that I don’t speak with someone who shares a special memory or story of their own vacation experience. Some think I am a little over the top or perhaps have a Disney addiction, but I believe that there is something unique and special about the Disney experience and I just love everything about it! So with that being said, I am excited to announce that this year I will be applying for a spot on the Disney Mom’s Panel! I have applied previously, but unfortunately did not make it to the next round. After I submitted my application, I was told that if you did not advance, you would likely hear nothing. I felt encouraged when I received a letter saying that I did not make it, but to keep trying and so this year, I am! It is sure to be a very competitive and exciting experience and I cannot wait for the process to begin! This feels like a great opportunity to turn a hobby, into something that I can share with families who may feel the Disney love, but might need a little help turning fantasy into reality! The applications open at 10am on September 2nd, and I am so excited to throw my EARS in the ring! The difficult part will be waiting and keeping my fingers crossed for a chance at round two. So, wish me luck and stay tuned! Love that quote! Just today used it in a blog post. Good luck with your Disney Mom’s Panel application. Also, in total agreement with the unique and specialness of the Disney experience – even if my friends and family think my obsession has reached it’s limits! Thank you so much! Hoping I’ll have more to share if I continue on! !